Find batting cages in NY to bring your kids for some fun practicing your home runs. Indoor and outdoor batting cages are all over the state but we've done the hard work and gathered some of the top ones here for you to find easily. They teach all players the fundamentals to help each individual reach his or her personal best. This place is truly one of the best indoor batting cages in New York. Hours are Monday through Friday from 3:00 p.m. to 9:00 p.m., Saturday from 9:00 a.m. to 8:00 p.m., and Sunday from 9:00 a.m. to 7:00 p.m. Call for holiday hours and pricing. With four state-of-the-art indoor batting cages, The Field House at Chelsea Piers not only has some of the best indoor batting cages in New York, but the entire facility is almost like its own Olympic Village. There is so much to do at this multi-level complex: cardio workout area, volley ball, bowling, swimming, rock climbing, ice skating, yoga, gymnastics, boating, golf, and so much more! Prices start at $2.75 for 10 pitches and batting cages may be rented in half hour or one hour time intervals. Reservations are available with at least a 24 hour notice. You could try, but would have a hard time finding a better indoor batting cage in New York than the Field House at Chelse Piers. A particularly popular indoor batting cage in New York, Astoria Sports Complex offers excellent times and reasonable rates. Their hours are Monday through Friday from 3:00 p.m. to 10:00 p.m., Saturday from 10:00 a.m. to 10:00 p.m. and Sunday from 10:00 a.m. to 6:00 p.m. Prices for a fielding tunnel or a ground ball machine are just $35 for one hour or $20 for half an hour. 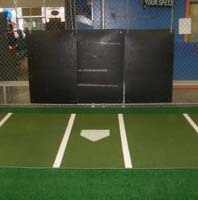 They proudly offer one of a kind batting cages to assist you with everything you need to perfect your swing! 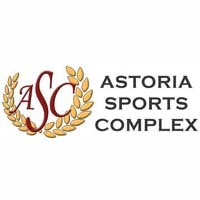 Astoria Sports Complex offers a wonderful facility for indoor batting cages in New York, but that’s only a small part of what this sports center has to offer. There is a pool, free weight and cardio gyms, a youth circuit gym, kids’ soccer and indoor soccer, etc. Come to Brooklyn Sports & Party Center for Some of the Best Indoor Batting Cages in New York! Brooklyn Sports & Party Center, also known as Brooklyn Indoor Sports Center, is a family entertainment center, offering some of the best indoor batting cages in New York. Facilities include 2 cages for softball, and four for hardball. Prices start at just $5.00 for three tokens; for only $20.00, 15 tokens may be purchased. The rental rates start at $25.00 for half an hour, Monday through Friday and $45.00 for one hour. For Friday, Saturday, Sunday, the prices are as follows: $35.00 for half an hour and $55.00 for one full hour. For really great indoor batting cages in New York, Brooklyn Sports & Party Center does not disappoint! Their friendly and helpful staff will welcome your return here, again and again. That’s not all – they also have facilities for softball, soccer, basketball, even an arcade and a kiddie play area for the younger ones. They are conveniently open 7 days a week. Check their website for hours, as holiday and seasonal schedules are periodically updated. No matter what speed you require for practice, The Cage’s indoor batting and pitching machines will accommodate your style, and help to improve your performance. Their newly improved infield area and re-turfed ground, complements the new equipment and makes this one of the best facilities for indoor batting cages in New York. The friendly, helpful staff members can reconfigure their batting cages to create a 75' x 50' open infield practice area, making it perfect for a team to keep their running and fielding skills current and sharp, during the off season. Their pitching machines have adjustable speeds between 40-80 mph. Prices start at $30 for half an hour; $50 for one hour. Check their website as specials and discounts become available. All and all, The Cage NYC has one of the best indoor batting cages in New York. Having Lots Of Fun At Fun Station USA! 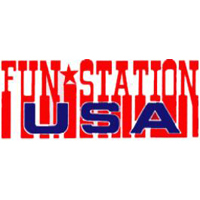 Come to Fun Station USA and bring your kids along for some fun activities and quality time together. A great place for a family getaway here in New York, Fun Station USA offers loads of fun activities such as playing inside a batting cage, basketball and playing at the arcade. Definitely Fun Station USA is a great place where kids can enjoy loads of fun activities and exciting sports. Visit Fun Station USA today and have some amazing time with your kids where you can enjoy playing inside their batting cage and share great memories together. Enjoy A Wonderful Day At Hudson River Park! 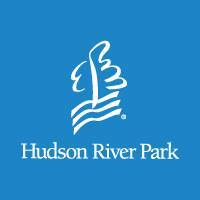 Here at Hudson River Park you can enjoy lots of fun sport activities and see some amazing scenery at the park. A great place for spending some quality time with the whole family here in New York, Hudson River Park is equipped with sports facilities such as batting cages, baseball field, mini golf and rock climbing. Hudson River Park is definitely where you can spend a relaxing day with your family here in New York and not worry about work. Come to Hudson River Park today and enjoy this magnificent New York park. 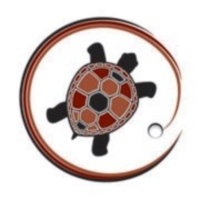 Learn more of what this place can offer and visit their website or contact them through phone. Enjoying Every Minute Of Fun At Artistic Stitch Sports Complex! Come to Artistic Stitch Sports Complex and bring your kids along for some fun and excitement. 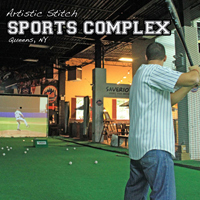 With lots of fun activities where kids can learn softball and baseball and much more, Artistic Stitch Sports Complex is definitely the perfect place to have fun here in New York. The place also has batting cages where you can practice your skills in swinging a bat or teach your kids how to swing a bat. So come to Artistic Stitch Sports Complex today and enjoy what this place has to offer. For more information and reservations visit their website or contact them at their hotline number. Practice Your Swing At Randall's Island Golf Center! 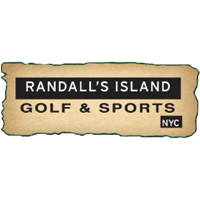 Here at Randall's Island Golf Center you can enjoy some fun activities inside their facility. With their batting cages you can have fun with your friends and enjoy each other's company. The place has 9 stalls of batting cages. Prices start at $40 per half hour and $60 per hour. Definitely a great place to spend some quality time with friends and with the kids, Randall's Island Golf Center has lots of fun activities where everyone can have a great time. Come to Randall's Island Golf Center and enjoy playing inside their batting cages or other fun activities inside their facilities. A Great Place To Learn Baseball And Softball Here In New York! Come to The Baseball Center NYC and learn from the best. The Baseball Center NYC is equipped with state-of-the art equipment which includes a baseball and softball pitching machine and a very conducive place to learn and enjoy the sports. 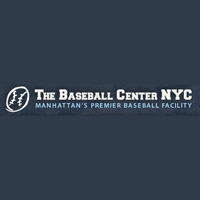 With The Baseball Center NYC you can be sure that you can enjoy their training program in baseball and softball and will surely have a great time. So come to The Baseball Center NYC and enjoy what great things await to you inside. Visit their website for more information and for reservations. Exciting Batting Cage Experience At Staten Island Go Karts, Batting Cages & Mini-Golf! Enjoy a fun activity with your kids where they can learn how to swing a bat and learn baseball. Here at Staten Island Go Karts, Batting Cages & Mini-Golf they have 9 batting cages equipped with a pitching machine great for anyone who wants to learn and improve their swigging skills in baseball. The place makes a perfect place for a family getaway here in New York where you and your kids can share great memories together. Come to Staten Island Go Karts, Batting Cages & Mini-Golf and enjoy loads of fun activities where you can have fun inside their batting cages. Bring Your Kids To Uptown Sports Complex For Some Awesome Times! Come to New York's Uptown Sports Complex where kids can enjoy practicing their bat swinging skills at their batting cage. A kid friendly environment, Uptown Sports Complex offers great learning and fun recreational activities for the kids to enjoy and have a great time. 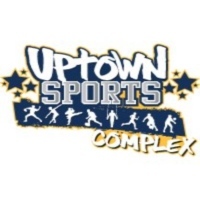 With their staff, Uptown Sports Complex will make sure that every activity is supervised and safe for everyone inside the facility. So plan your trip to Uptown Sports Complex and enjoy some amazing times with your kids. Visit the website and make your reservations today. Baseball Lessons For The Kids To Enjoy! Here at Sluggers Baseball Academy they offer youth programs where kids can learn baseball and be trained among professional instructors here in New York. With Sluggers Baseball Academy they make sure that each child gets the full attention they need for them to learn and develop their skills in baseball. 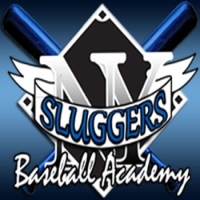 Sluggers Baseball Academy is equipped with a batting cage, a ball pitching machine and a dedicated instructor who will work their best for the kids to learn baseball. Make your reservations today and let your kids learn how to play baseball. Visit the website for more information and for inquiries. Turtle Cove Golf Center, Where Fun Activities And Excitement Can Be Found! Bring your kids along for some amazing fun times here at Turtle Cove Golf Center. A great holiday destination here in New York, Turtle Cove Golf Center has loads of fun activities such as golfing and playing inside a batting cage. Definitely a place to have a great family getaway here in New York, Turtle Cove Golf Center promises all the fun and excitement that you could ask for. Come to Turtle Cove Golf Center today and have yourself a great time with your whole family to enjoy. Visit their website for more information and for reservations. Learn, Train And Succeed At Yorkville Academy! Let your child learn the sport of baseball and register today at New York's Yorkville Academy. 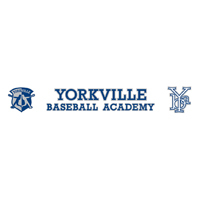 A great place for kids to learn and enjoy the sport of baseball, Yorkville Academy is a kid friendly place where all activities are safe and well supervised by a trained staff. Yorkville Academy is equipped with a batting cage, ball pitching machine and a professional instructor who will train your child to become great at baseball. So register your child today and let Yorkville Academy provide a fun and exciting baseball lesson that you will be sure your child will enjoy.